Android Wear watches have been hacked to death (not literally) as people have managed to take over the Google-powered watches in ways you wouldn't usually expect. 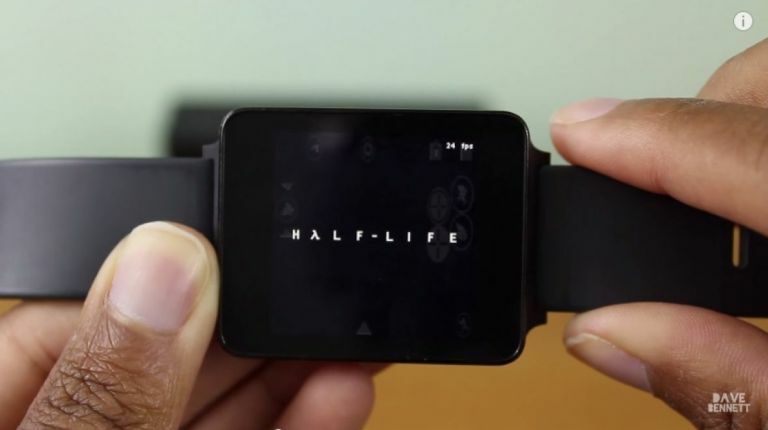 People usually use smartwatches to check the time, emails and so on, but it's pretty unconventional to use your watch to play a graphically intense game such as Half Life. Dave Bennet is the person behind the hack. In the video below he shows how he managed to get pretty demanding games to work on devices they weren't designed for. Over the past few months there have been some cracking hacks of the Android powered smartwatches with Windows 95, Doom and Flappy Bird all playable on them. Although some might think it's a cool concept to play games on your smartwatch, it's hardly a great experience considering the screen is only an inch big. It's an interesting proof-of-concept all the same. Is this a sign of hacks to come? Maybe we'll see Assasins Creed coming to Android Wear, or even Windows 10!